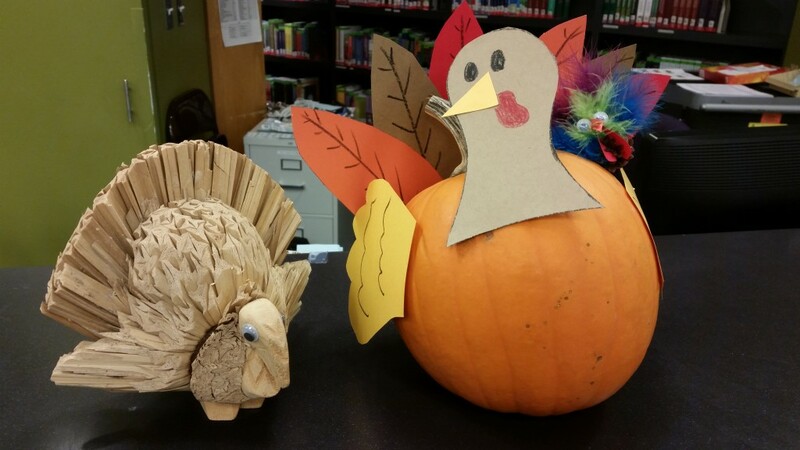 Currently viewing the tag: "Thanksgiving"
The Hirsh Library will be closing at 2pm this Wednesday, November 23rd, and will remain closed through Saturday, November 26th. This is for the university-wide Thanksgiving Break. We hope you enjoy your days off this week. Make sure to catch up on some sleep, and we will see you bright eyed (if not bushy tailed) on Sunday, November 27th! 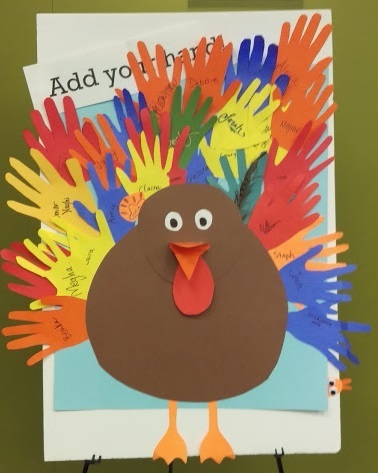 Starting at 12pm this Thursday 11/17 and Friday 11/18, you can stop by the Library Service Desk and create your own feathered friend to bring home to Mom (or back to your study carrel). We’ll have a variety of materials out so you can create anything your heart desires, from the simple and majestic hand turkey (our personal favorite) to some 3D pinecone poultry. Don’t have time to delve into a craft? Just lend a hand–we only need the outline!–to the giant library turkey we plan to make. Thanks to all the students, staff, and faculty who contributed to our glorious library turkey! 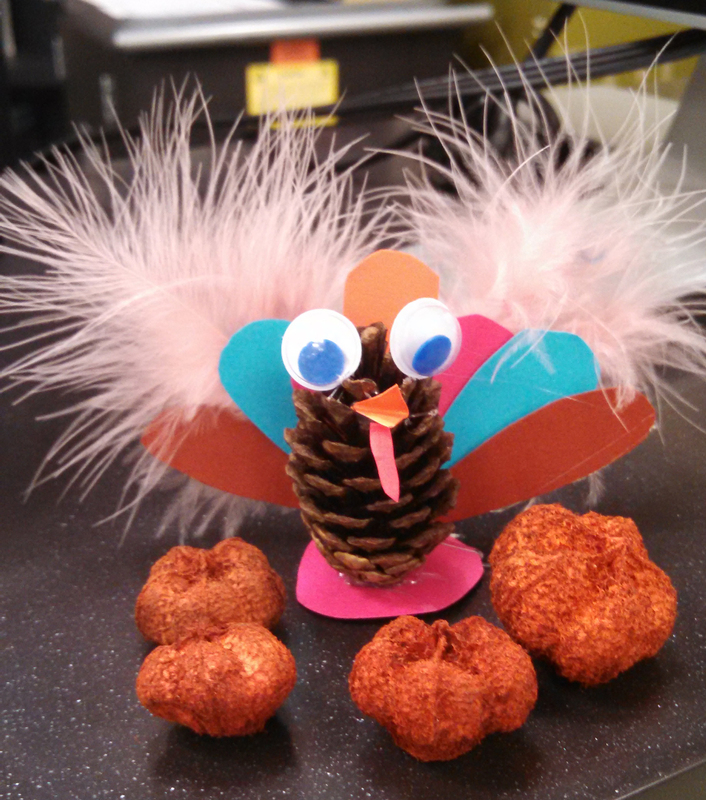 Hirsh Health Sciences Library would like to wish you a happy and healthy Thanksgiving! We’re thankful for all the wonderful students, staff, and faculty of Tufts University and Tufts Medical Center. We’d like to remind you that the library will be closing at 2pm tomorrow, Wednesday 11/25 and will reopen at 10 am on Sunday 11/29. Hope you have a wonderful break! Hello there! Next week is Thanksgiving (you might have heard of it). The Hirsh Library is going to be going on a bit of a vacation, because we know you are too. We will be closing on Wednesday, November 25th at 2 pm, and we will re-open on Sunday, November 29th at 10 am (and will be open until 10 pm that day). 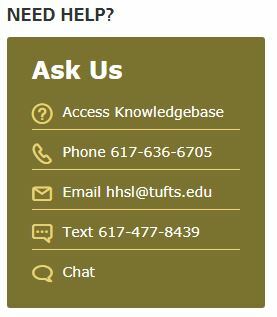 If you have any questions, feel free to come ask us on the 4th floor of Sackler, or you can call 617-636-6706. Otherwise, enjoy your short break before exams, and we will see you on the 29th! It’s that wonderful time of the year again. Yes, that’s right. It’s turkey time! 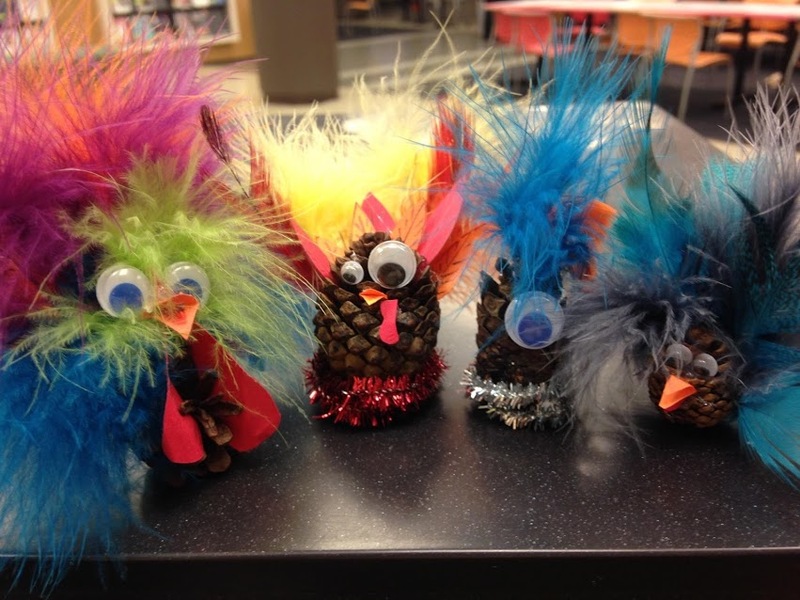 Starting at 12pm this Thursday 11/19 and Friday 11/20, you can stop by the Library Service Desk and create your own feathered friend to bring home to Mom (or back to your study carrel). We’ll have a variety of materials out so you can create anything your heart desires, from the simple and majestic hand turkey (our personal favorite) to 3D pinecone poultry. Don’t have time to delve into a craft? Just lend a hand–we only need the outline!–to the giant library turkey we plan to make. From our turkeys to yours, we hope you have a relaxing Thanksgiving break next week! 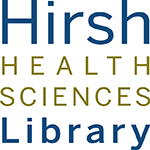 And to aid in that relaxing, Hirsh Health Sciences Library will be closing Wednesday the 26th at 5 pm, and will re-open on Sunday, November 30th at 10 am. We will be closed in between, so make sure to get in some of that sleep you’ve been skipping out on, and we’ll see you once you’re refreshed and full of food! 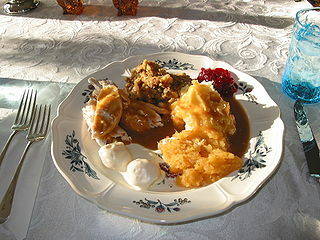 In honor of Thanksgiving, the following is a re-post of last year’s description of the ‘evidence-based’ Thanksgiving meal. Enjoy! Cranberries for preventing urinary tract infections. Noto H, Goto A, Tsujimoto T, Noda M.
PLoS One. 2013;8(1):e55030. Epub 2013 Jan 25. Bottom line: Eat the stuffing!!!! Bottom line: Sweet potatoes are still very good for you if you have type 2 diabetes (but leave out the marshmallows, capesh!). Bottom line: Have a wonderful Thanksgiving!